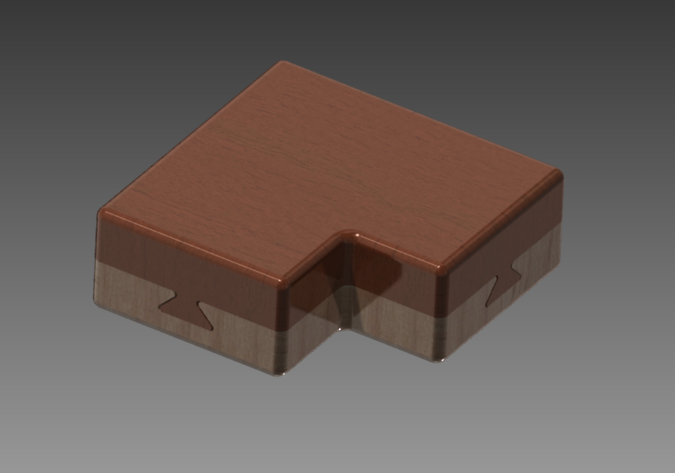 And here is this week puzzle: the Padawan Dovetail Box. Once more you have to wonder how is it even possible to have dovetails on only 2 sides and the “L” shape prevent to use the same trip as previous puzzle… The goal is to open the puzzle to access the compartment inside the assembly but this time gravity force will not help you… Time to work on your Jedi powers young padawan! 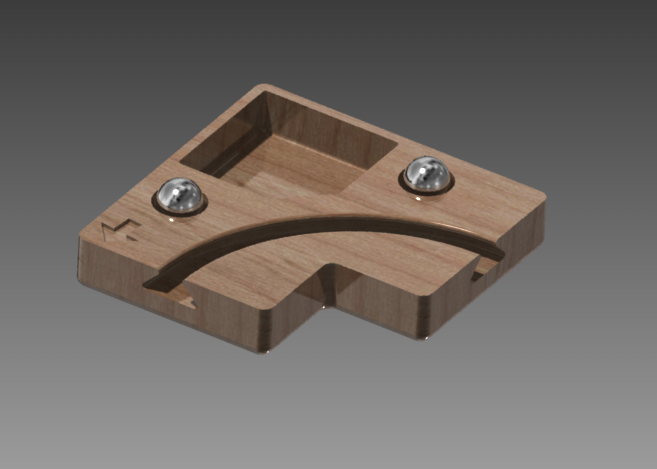 The Puzzle is build around 2 main pieces and two 1/2″ diameter (12.7mm) steel ball bearings. I’ve settled for 1/2″ because it’s the standard size for small marbles called peewees. In this case we need steel balls for the puzzle. I will let you figure out how to solve it, but I’ve included clues in my post that should help you. I can’t wait for my printer to come and try it. To assemble the puzzle, push the steel balls in each holes and hold them between 2 fingers. Slide the pieces starting with the arrow side, then try to open it again! 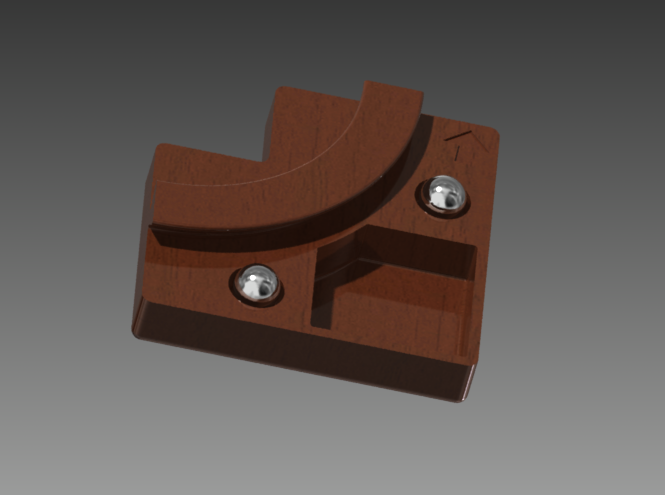 This entry was posted in 3D printer, Puzzles and Brain teasers, STL files and tagged 3d printing, brain teaser, dovetail, puzzle, stl files on March 25, 2013 by damienideas. I know you are concerned with 3-D printing, but I think you should give proper credit for what you are calling a Padawan dovetail to Norman Sandfield [my brother] and Perry McDaniel. Here is a link to that puzzle; http://www.johnrausch.com/PuzzleWorld/puz/l_bow_dovetail.htm . Their locking mechanism is different. Thank you for pointing this previous implementation of a L dovetail puzzle. I am not a specialist of brain teasers (just like to conceive and play with them from time to time), and I was not aware of this previous work but I will gladly edit my page to cite Norman and Perry’s work. I have to say 3D printed puzzle do not have the same ‘soul’ as wooden ones and from the link you provided it looks gorgeous.